Kitchens of the past largely functioned as utilitarian spaces with the sole purpose of preparing meals. These days, kitchens have become the heart of the home where design for aesthetic purposes is just as important as the overall function of the kitchen. Over the years, home designers have been able to optimize the function of kitchens while also staying in tune with the latest design trends. You can use the following ideas to get the wheels turning on how to spruce up your own kitchen. 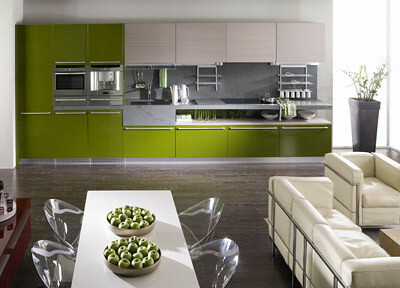 Simple seems to be the keyword when describing contemporary kitchens. 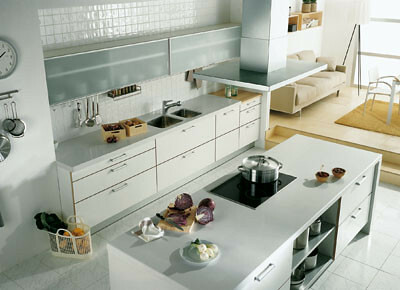 For example, kitchen cabinets and drawers with recessed handles offer a sleek design. Gone are the days of cabinets with intricate, hyper detailed designs. Modern cabinetry is elegant, yet simple, and, as a bonus, is easier to clean. A lot of focus is placed on kitchen splashbacks these days. 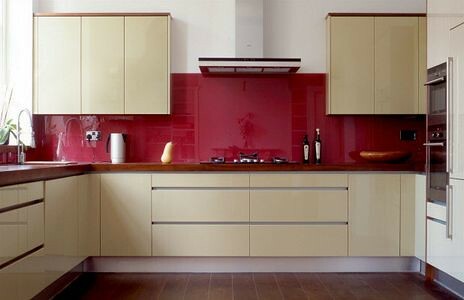 Glass splashbacks come in a variety of colours to match any kitchen décor. 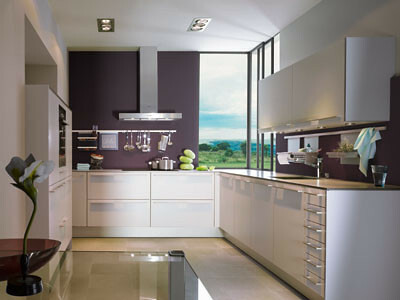 As far as functionality is concerned, splashbacks made of glass are easy to clean and do not scratch. A kitchen can be a messy place, and, by making it easier to clean up after preparing a meal, you are sure to spend more time in the kitchen preparing delicious meals. There are some trends that stand the test of time. Stainless steel appliances have long been popular among homeowners, and fit seamlessly into modern kitchen designs. Today’s stainless steel appliances are more efficient than ever, offer improved features, and add class to just about any type of kitchen. Instead of installing appliances wherever they will fit, many homeowners are choosing to create specialty work zones within their kitchen where appliances are seamlessly integrated. For instance, under-counter refrigerators are great space savers and can be designed along with your countertop or even within a kitchen island. Small-load dishwasher drawers, wine cabinets, and other specialty appliances can be integrated into a kitchen flawlessly with the right design. Kitchens have become a gathering place for family members and guests. Instead of tucking kitchens away in closed off spaces, many homeowners are adding sitting areas in their kitchen to make it more of a social space. Another option is to take out walls between the kitchen and living room. This creates a more open atmosphere where those who are preparing meals can socialize with guests or other family members. 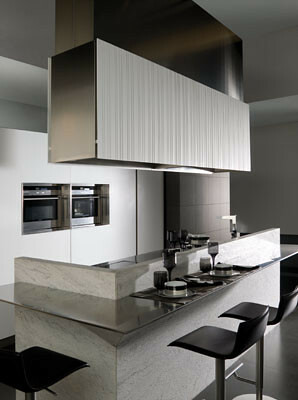 Tracy Smith is a writer for SmartPackKit.com, a company offering custom kitchens in Perth.